My latest tutorial is out in Cakes and Sugarcraft magazine. 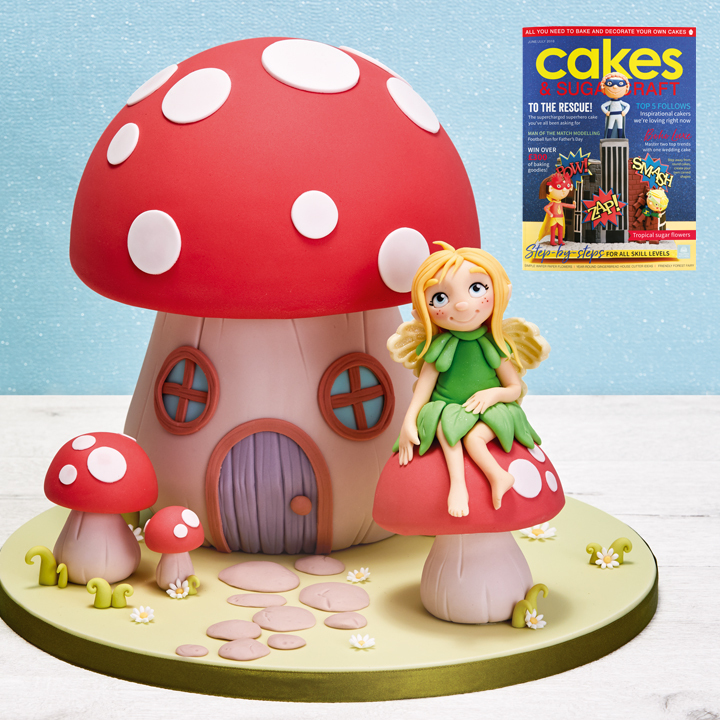 In the tutorial I’ll show you how to create a carved fairy toadstool with an adorable fairy cake topper. Cakes & Sugarcraft is available from Tesco, WHSmith, Barnes & Noble and thousands of newsagents and independent retailers in the UK and around the world, direct from the publisher at www.squires-shop.com/catalogue/cakes-and-sugarcraft-magazine.